The Opteka FB-10 Camera Flip is a compact, lightweight flash bracket designed for Digital SLR cameras. The affordable unit sports a low-profile Rotary-Link system, which lets you turn your camera from horizontal to vertical with a flick of the wrist while still keeping the flash centered above the lens. As a result, your photos will receive optimum light regardless of the camera's orientation. 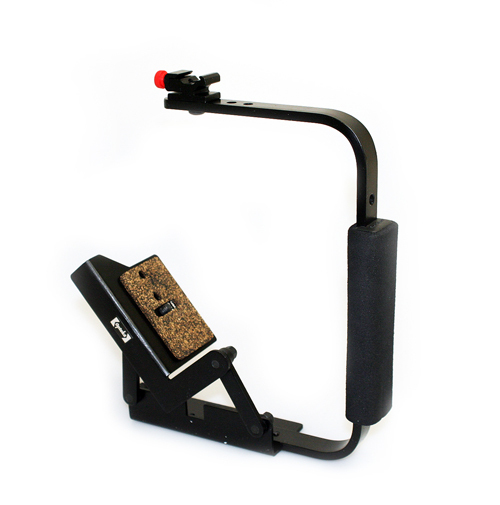 On the side sits a cushioned neoprene foam grip that's comfortable for both shooting and carrying.